In this last post in my series on food and drink at work, I’d like to share with you some of the diet and nutrition techniques that I’ve been introduced to while hanging out with athletes. In my interview with Wendy Jo Peterson we mentioned energy gels, caffeine, and recovery drink, and I want to say a few more things about each of those to put some new ideas in your head about eating healthy on the job. A popular slogan going around the world of athletics right now is “Hydration in your bottles. 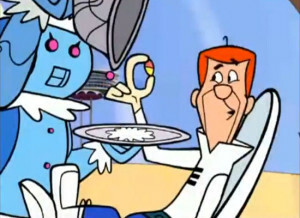 Food in your pockets.” Remember it. When you try to quench your thirst with a drink that has a lot of carbohydrates (sugar), your body actually has to take water away from your muscles in order to digest the drink — not a great way to hydrate. Stay away from calorie-and-sugar-rich energy drinks like Gatorade and Coke. It’s tempting to have a soda because they are readily available, and you may feel justified in having a Red Bull because you are working long hours, but you’ll feel a lot better on a long day if you avoid these and stick to drinking water throughout the day and eating solid food when you need to up your energy stores. Snack tip: For long low-intensity work, like sitting behind a mixing board at an all-day corporate event, break up your snacks. Your body can only process so much food energy at once, so if you want to get the full benefit of your food, instead of eating an entire energy bar at once, eat a couple of bites every 20 minutes. For high-intensity work, such as large load-ins, have an energy gel or another simple-sugar/low-fiber food (jelly beans, pretzels, etc.) every 45 minutes for the duration of the work. Did you know that your body builds up a tolerance to caffeine? Many endurance athletes use products during competition that have caffeine in them, but that won’t do them any good if they slam espressos all the time when they’re not competing. Coaches frequently recommend that athletes have one cup of regular coffee in the morning (about half the amount of caffeine they will consume during one hour of competition), and then switch to decaf. If you wash down your 5-hour Energy shot with a Red Bull, you’ll quickly become desensitized. You might feel a little bump, but you’ll definitely feel a big crash. Go easy on the caffeine in your day-to-day life so that when you really need that extra energy for heavy lifting, your caffeinated energy gels or espresso will actually do something for you. When you do physical labor, you deplete your muscles of glycogen, which is the most readily-available energy source for your body (fat is another source, but it takes longer to turn into a form you can use). After hard work, you want to replace your muscle glycogen within an hour of finishing work, when your muscles are most receptive to refueling and repair — that’s called your “glycogen window.” Athletes usually replenish using a four-to-one carbohydrate-to-protein ratio; the carbohydrate loads your muscles up with glycogen and the protein helps your muscles repair themselves. Solid foods are best for after-work recovery, but can be substituted with recovery drink when necessary. When is that necessary? For example, if you’re done working but you have an hour commute home and you forgot to bring a snack. 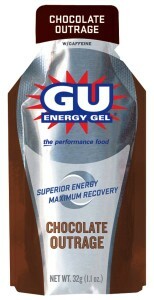 Keep a packet of recovery mix, like GU Recovery Brew, or a shelf-stable box of chocolate milk (a lot of athletes recover with chocolate milk because it has the correct ratio and is readily available/often cheaper than fancy mixes!) in your car and drink one of them on your drive home. Then, have a real meal within three hours of finishing. Your body will thank you. Carb loading is widely misunderstood, and it’s not a free pass to eat all the pasta and bread you want (sorry). Don’t eat a big meal right before work, because it will just sit in your gut and divert energy away from your muscles for digestion. You need to allow time for the food to process through your system. So, if you are working early in the morning, eat plenty of complex carbohydrates like whole wheat pasta, brown rice, or sweet potatoes for dinner, then have a light breakfast the next day. If you are working at night, eat a big breakfast with complex carbs like oatmeal or whole-grain pancakes, and then a light lunch. The idea is that your body needs several hours to make your food available for action, and whatever you eat right before work won’t have enough time to actually to help you work, it will only draw energy you need to do your job into your digestive system. If you work with musicians or actors, you may have noticed that they like to eat dinner after the show, not before. This is why. Also remember, it’s called carboHYDRATE for a reason — it helps your muscles store water and remain hydrated, so it is important that you drink a bunch of water with your major pre-game meal. If you really want to dial in your nutrition, keep a food diary. Note how you feel at regular intervals in the day and see how that relates to what you eat. Did you feel really weak at the end of the day? Maybe you didn’t eat enough overall. Did you feel tired at the middle of the day? Perhaps you ate too big a meal right before starting work that made you feel sluggish. Did you feel rested the next morning? A diary will help you remember what you ate during your glycogen window and increase it next time. Soylent: Have you heard of this kid in San Francisco who has stopped eating food? Instead, he is drinking a food substitute. 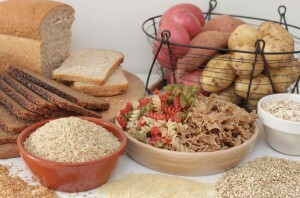 Meal substitutes have been around for a while, but this is intended to supply all of the human body’s daily nutrition. As you can imagine, it’s very controversial. The original article is How I Stopped Eating Food. Not sure if that one will be up forever because they raised $1,000,000 on KickStarter and are now selling direct on this site. Please let me know if you try it in the comments below. Noni juice: Produced mostly in Tahiti and Hawaii, the Polynesians have been using it has a remedy for over 2,000 years. With no scientifically proven health benefits it is, again, very controversial. I’ve been trying it for a month, but haven’t developed the super powers I expected. I’ll let you know, or you’ll just read about me in the news. Honey: Honey is organic and virtually indestructible. It can be used to help you sleep and treat heartburn. It’s also basically bee vomit and it has been shown to have no nutritional value over table sugar. Keeping with the athlete theme, Tour de France champion Greg LeMond (who had a huge sweet tooth) says that the difference between sugar and honey is that one sticks to your teeth. Chia seeds: These little seeds became popular alongside the barefoot running craze when the book Born to Run came out. They’re supposed to be an Aztec superfood that make you feel full for a long time and help you run long distances. Some athletes mix them with water or fruit juice in a flask to make their own custom energy gel. What are some of your favorite food tips? Great thanks for the considerable input from Elis Bradshaw.